Microsoft has been pushing Bing pretty heavily since its inception in 2009, but is it time for the number one operating system provider to let go of their number two ranked search engine? Two writers for Reuters believe so in a recently posted piece, citing a $2.6 billion loss last fiscal year in the division that runs Bing. Bing is trying to compete in a market dominated by Google. Microsoft is currently responsible for nearly 30 percent of the US search market while Google’s claim is more than double. The reporting duo believes that Bing could be worth as much as $11 billion to the right buyer, which would certainly help investors sleep easier at night, at least in the short term future. The idea to sell perhaps isn’t so outlandish and there could be potential buyers. Apple was recently reported to be interested in video streaming website Hulu to boost their video offerings. If done right, a web search presence could further strengthen their iOS product line. The authors also believe that Facebook could make a good match, as the company already uses Bing in their search results. A Zuckerberg buy could give Facebook more leverage against Google and their rapidly growing social network Google+, which pulled in 20 million users after just three weeks. Any talk of Google buying out Bing is unlikely as this would almost certainly bring about antitrust issues. Others in the tech industry, however, aren’t so sure that Microsoft should sell. Computer World writer Preston Gralla indicates that Bing itself might not have lost $2.6 billion, but the entire division did, which includes other products that might not have generated any revenue. What search provider do you use on a daily basis? 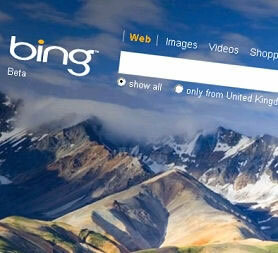 Do you think it makes sense for Microsoft to offload Bing already?